Thiruvathirai also called as Arudra darshan is one of the most important festivals celebrated in Tamil Nadu and Kerala. 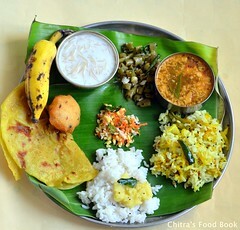 In most of the Tamil houses, Kali / Rice kali will be prepared and offered to Lord Shiva on this festival day. In my family, my mom has the practice of making thiruvathira kali alone whereas my MIL makes Thiruvadirai kali, 7 kai kootu in pressure cooker and thiruvathirai sweet adai, sambar/thalagam, thayir pachadi along with cooked rice as well. So I follow that every year. 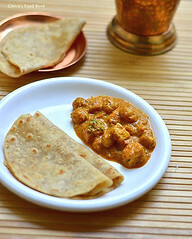 Long back, I had shared a post for Thiruvathirai adai, kali, kootu recipes. 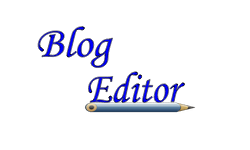 This year, I made a detailed video and wanted to have a separate post in my blog. 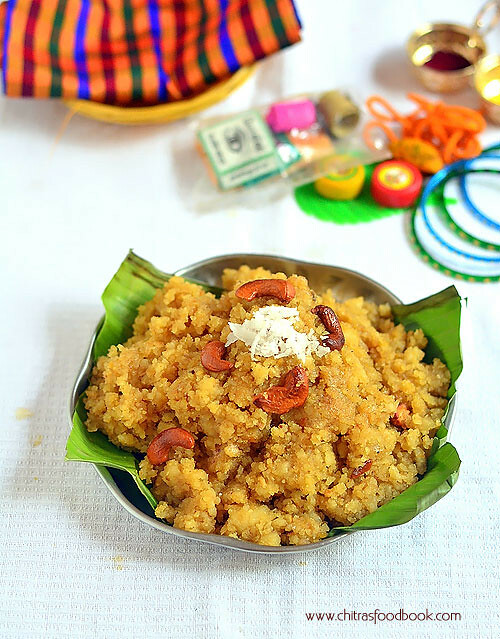 Thiruvathirai kali is prepared with raw rice and moong dal roasted n ground to a coarse flour, pressure cooked and then mixed with jaggery syrup flavored with cardamom powder, grated coconut and ghee. 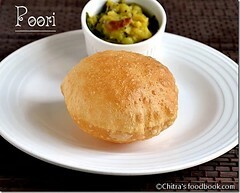 I always pressure cook rice and dal mixture to make my job easy and to save time. 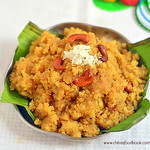 It is one of the tastiest rice kali recipes. My family loves it a lot. 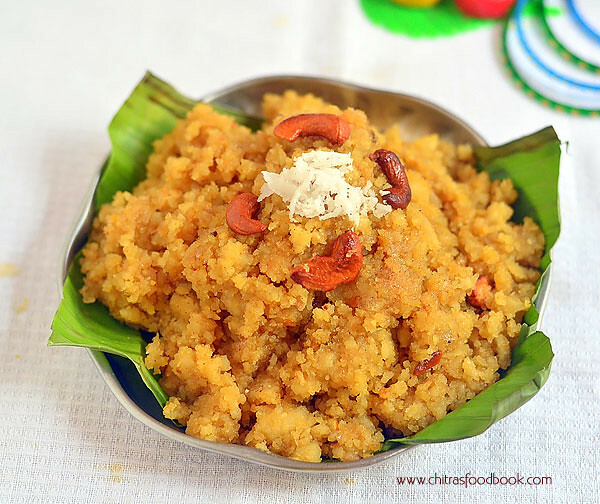 Basically we make this kali with a fluffy texture but I saw many recipes with kali in Pongal/halwa texture. It purely depends on how we powder the rice+dal. If you want fluffy kali, powder it coarsely else powder it nicely like fine rava. Whatever be the texture, this kali tastes absolutely yummy. 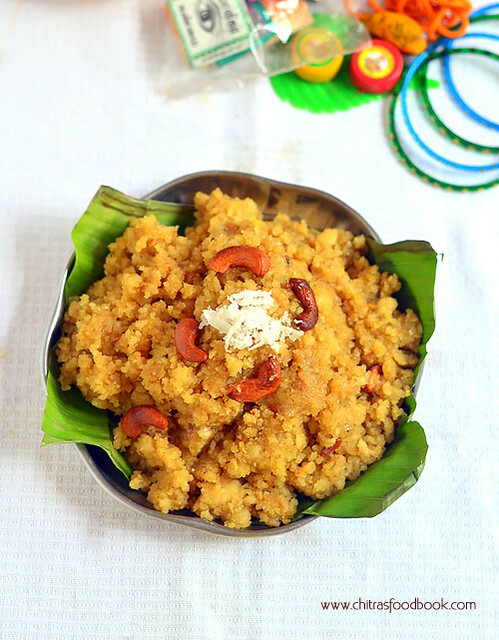 Now lets see how to make Thiruvathirai kali recipe with step by step photos and video !! 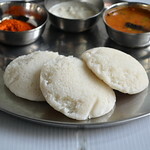 Check out my thiruvathirai celebration post and Adai, kootu recipes post too ! In a kadai, dry roast moong dal till it turns golden brown in color. Stay nearby and keep roasting patiently.Transfer to a plate. In the same kadai, dry roast rice till it becomes puffy and slightly golden in color.Do it in medium flame. When the vapor starts to come from the kadai while roasting, roasting is done. Rice takes nearly 4-6 minutes for roasting. Transfer to the plate and let them cool down. Grind the rice+ dal to a coarse rava. Pulse it 4 or 5 times using inch button for few seconds.Transfer it to a cooker base. Add 1.5 cups of water ( 1:3) and pressure cook in very low flame for 2 whistles. Open the lid after the steam is released. Mix well and set aside. In a kadai, take the powdered jaggery. 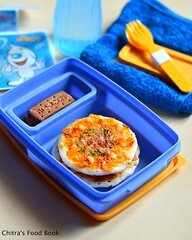 Melt it by adding 1/4 cup of water. Strain the impurities in a wire mesh. 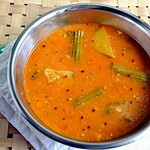 Again pour the syrup to the washed kadai and boil it. Add grated coconut & cardamom powder. When the syrup starts to roll boil, simmer the flame to low and add the cooked rice+dal mixture.Break all the lumps with a ladle and keep mixing.Rice absorbs all the syrup and becomes thick and smooth.switch off the flame. Roast cashews in 2 tbsp ghee till golden in color. 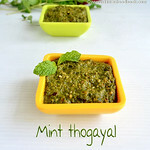 Add this to the kali, mix well and serve hot ! 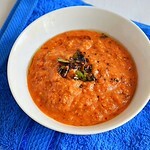 Do not burn the dal or rice while roasting.It spoils the entire flavor of kali.So do it patiently in medium flame. Pressure cook rice & water in the ratio of 1:3 else rice will not be cooked well and kali tastes hard and chewy. Cardamom powder and grated coconut is a must for kali. It adds flavor. Adding ghee & roasted cashews makes the kali rich.So do add it. 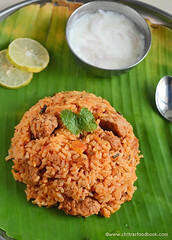 Try this easy, yummy kali at home on this Thiruvathirai festival and Enjoy !! Hi chitra i tried ur recipe for thiruvadirai.it came out well.i used to do it in uruli.we used to add the ground powder in the boiling jaggery water.but pressure cooking it is very easy .It came out perfect.only thing is I grounded it little bit fine.thanks for the recipe.